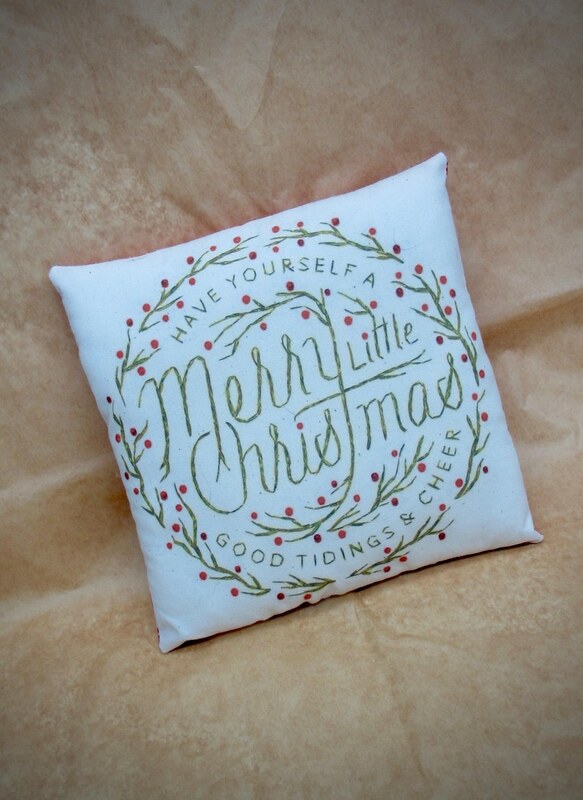 Printed on muslin with a coordinating fabric back is our adorable little Christmas pillow. The print offers the look of hand embroidery which reads " Have yourself a merry little Christmas" on this holiday tuck. It has been firmly stuffed and hand sewn closed on the bottom. You have a choice of sizes.......4 X 6" OR 7 X 7" priced accordingly. Very cute and nicely made !! !